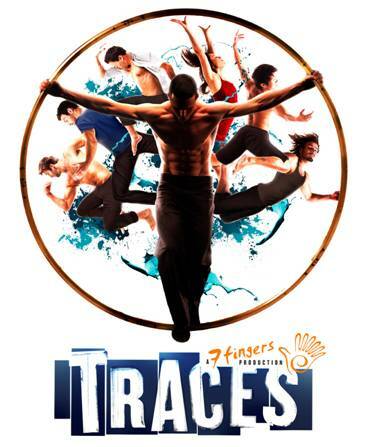 TRACES, the acclaimed show by the Montreal-based troupe 7 Fingers, has opened at New York’s Union Square Theatre (100 East 17th Street) to rave reviews and is now selling tickets through January 1, 2012. TRACES began previews on Friday, July 29th and officially opened Monday, August 8th. In TRACES, the human body is pushed to its limits as a group of friends leave their mark in a run-down warehouse through acrobatics, music, and dance. Fusing the traditions of circus with the energy of street performance, TRACES is an explosive display of raw emotion and physicality in an intimate urban setting. When it counts, will you leave it all on the stage? TRACES features Creative Direction by 7 Fingers (Les 7 Doigts de la Main) and Direction & Choreography by Shana Carroll & Gypsy Snider. TRACES is performed by Mason Ames, Valérie Benôit-Charbonneau, Mathieu Cloutier, Bradley Henderson, Phillipe Normand-Jenny, Xia Zhengqi, and Florian Zumkehr with alternate cast members Héloïse Bourgeois, Sen Lin, and William Underwood. TRACES is produced by Fox Theatricals (Kristin Caskey & Mike Isaacson), Tom Gabbard, Amanda Dubois, The Denver Center for the Performing Arts, Nassib El-Husseini, and Thomas Lightburn. Tickets are currently on sale via Ticketmaster.com and by phone at 800-982-2787.
some truly quality articles on this site, saved to my bookmarks ….